Thanks to PAMA we can share with you October sales of locally-produced light vehicles in Pakistan, a fair representation of what the best-seller landscape given high taxes make new car imports negligible. These sales are up 6.8% year-on-year in October to 24.935 units, leading to a year-to-date tally up 9.3% to 217.986. Market leader Suzuki (-2%) is the only local producer in negative this month with Toyota (+25%) and Honda (+11%) both in great shape. But the big news this month is the arrival in the ranking of Chinese manufacturer JAC with its first locally-produced model, the X200 pickup. 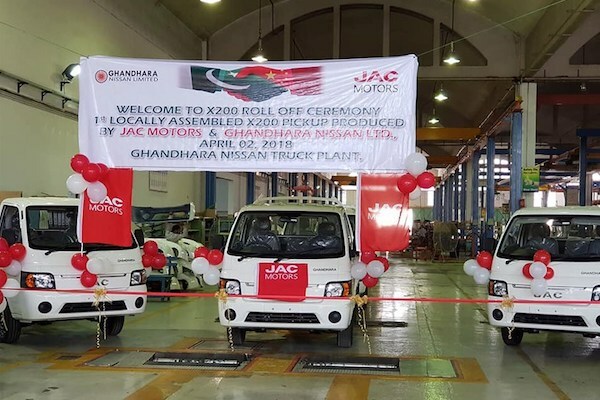 The X200 is manufactured through a joint venture between JAC and local manufacturer Ghandhara Nissan Ltd (GNL), making JAC the first Chinese brand to officially report local production and sales in Pakistan. Note two other Chinese carmakers currently produce locally but have not reported sales so far: FAW (with the V2 hatch) since August 2017 and Dongfeng since April 2018. Historical times indeed. 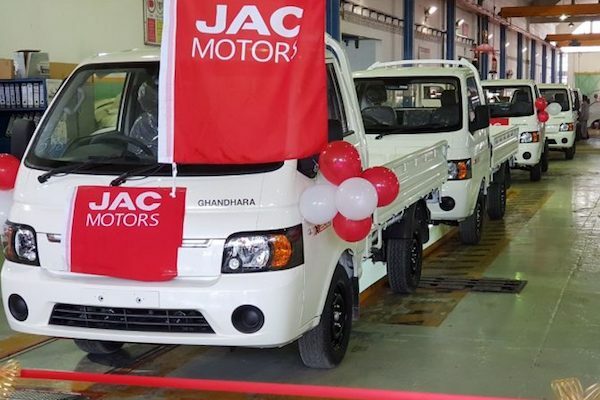 The first JAC X200 produced in Pakistan. Model-wise, the Toyota Corolla (+33%) shoots up to 22.5% share vs. 20.6% so far this year, while the Suzuki WagonR (-4%) holds onto the #2 spot for the third consecutive month despite a small drop, keeping the Suzuki Mehran (-24%) at bay for 15 meagre sales. Below, the Suzuki Cultus (+61%), Swift (+45%), Honda Civic (+31%), City (+31%) and Suzuki Ravi (+13%) all make tremendous progress. Although produced locally since April, the JAC X200 only appears in the ranking this month as its sales figures had not been made public before. It sells 85 units for the month vs. 2.194 for the Suzuki Ravi and 533 for the Toyota Hilux, the only two other pickups produced locally. It will be very interesting to follow JAC’s sales evolution overt the next few month to judge at what level it will stabilise and whether it has the potential to become a significant player in the country. Full October 2018 Top 4 Pakistan-made brands and Top 13 models below. Pakistan April 2016: Suzuki Cultus up 71%, changes ahead?